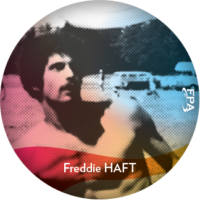 Freddie is yet another strong player to come out of the New York Freestyle scene in the mid 1970’s. He is credited with helping to innovate the nail delay and is the first person to perform the move in a routine. He continued to develop his game and finally moved to the West Coast in the late 1970’s. As a result of that move, Freddie also helped create the new hybrid style of play using elements of East Coast technicality along with West Coast wind play.